More than just good design, a website should be intuitive and straightforward to use. Our approach involves more than just aesthetics - it's about leaving a lasting impression on your customers and delivering more business results. We are committed to helping you make a genuine difference and we will create a professional and engaging website for you that will ensure your customers remember you for all the right reasons. 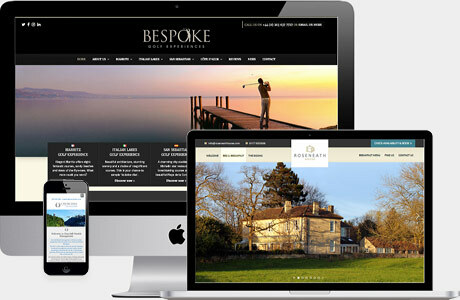 We do this by getting to know our clients and finding out what makes them tick, so that the site we develop for you is not only functional and visually exciting but also reflects your business outlook and the ethos of your brand. We are a local company, providing a friendly and efficient service, all from our Bristol office. It's only by working closely with you, giving you fresh ideas and advice, that together we can create the best possible website for your budget.